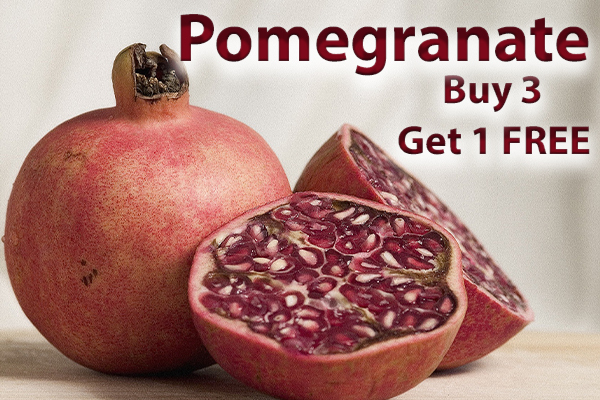 Expand your pomegranate collection with this pack. 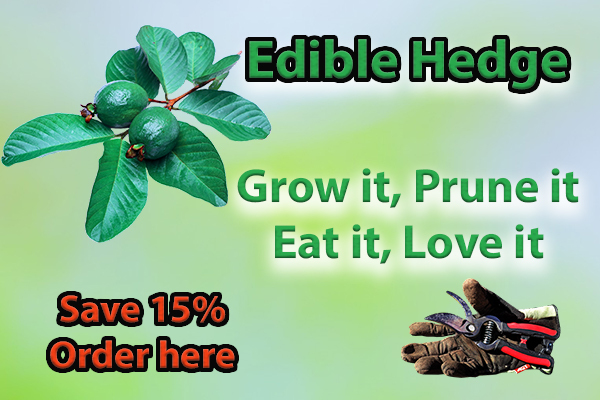 They are beautiful bushes that are ideal for edible hedgings, pots or screens and as they benefit from cross pollination having more that one variety will gove you a lot more fruit. 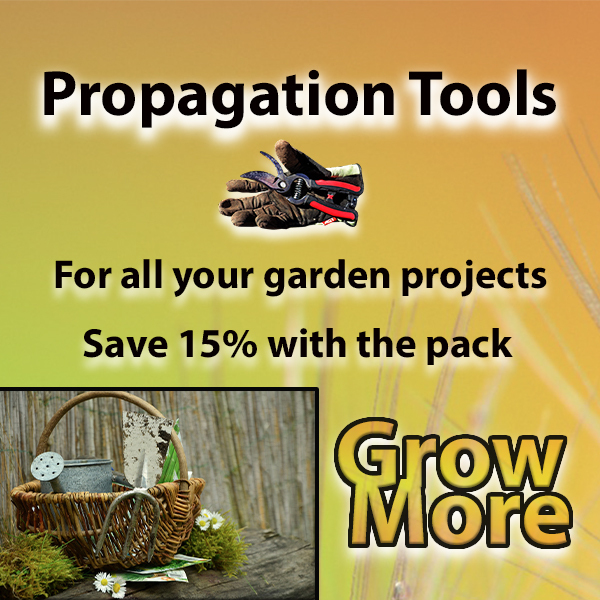 Keen home propagators can get all the tools they need for their garden projects in this pack. 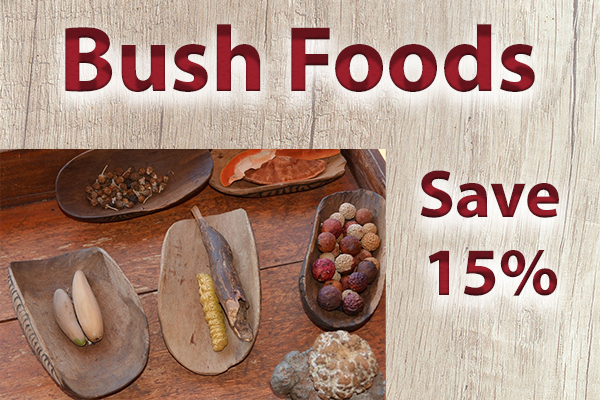 Save 15% on all grafting knives, grafting tape, as well as secatuers and girdling tools. Use the drop down menu to select the items you require. 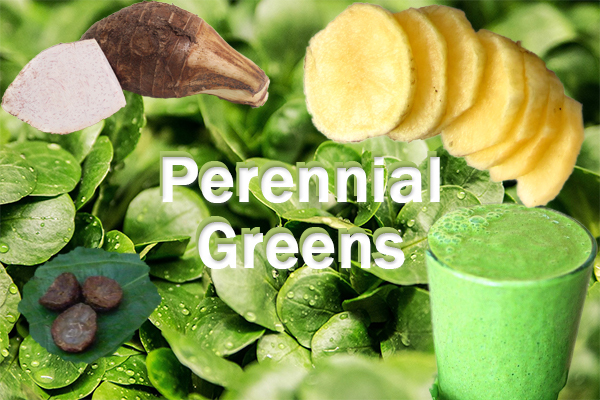 Have a home grown supply of fresh greens all year round with this perennial green pack. 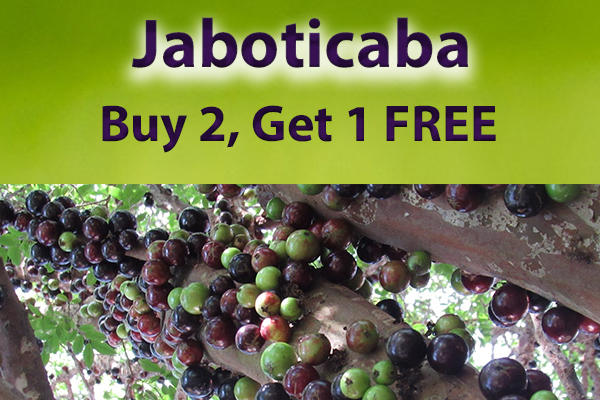 Buy 2 and get 1 Free with this great deal. You will also have the added bonus of getting more nut if you mix your varieties selecting at least one A group variety and one B group variety which will maximize your pollination and mean you will get more nuts on all your trees. 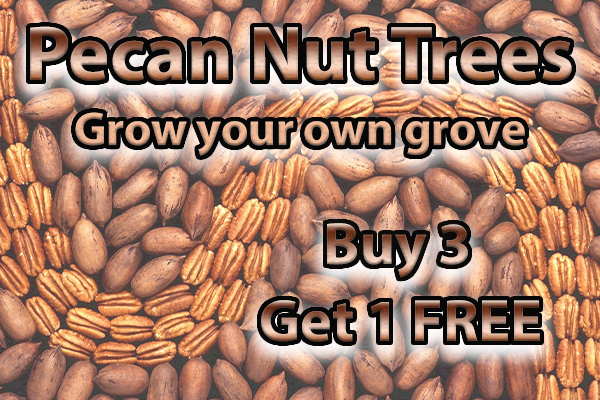 Pecans are long lived and productive for many years, they are a great long term investment that will reward you for your lifetime and for the generation to follow you. Use the drop down menu to select the plants of your choice. 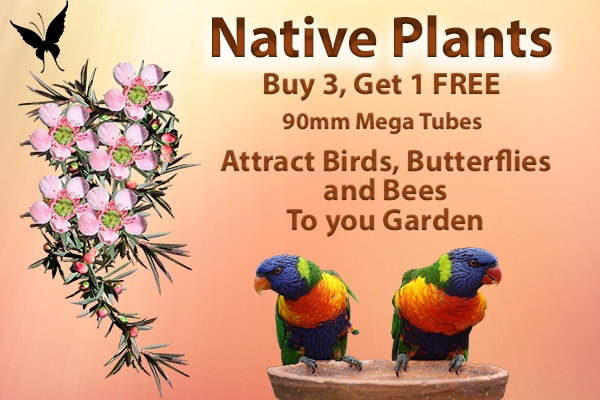 Plant a native garden with this pack, buy 3 of our native trees or shrubs in a 90mm mega tube and get 1 FREE. 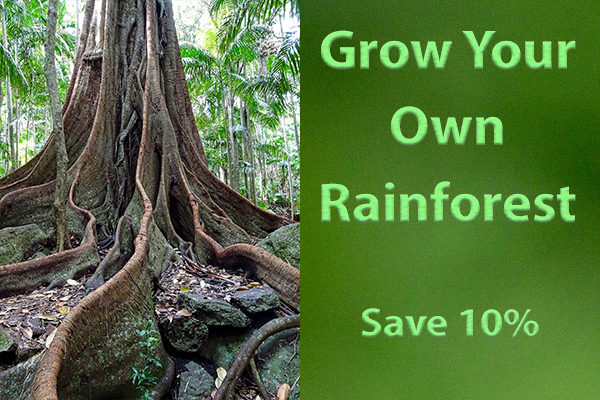 Plant your own rainforest or establish a native garden with the pack. The 70mm supertubes offer you a larger plant to get you started and are quick to establish. 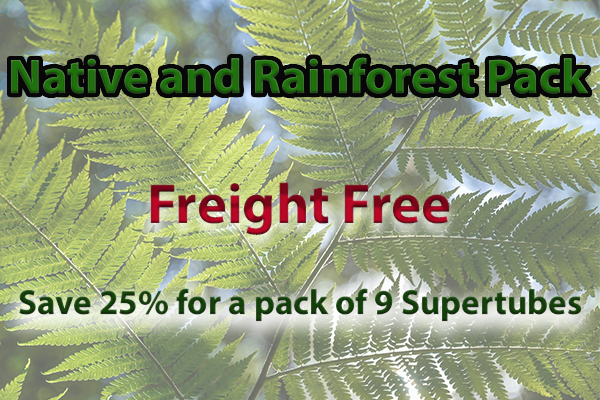 Buy 9 trees from our supertube range and receive a 25% discount. Use the drop down menu to mix and match the 9 different plants that you want, or you may select multiple of the same tree if you wish. 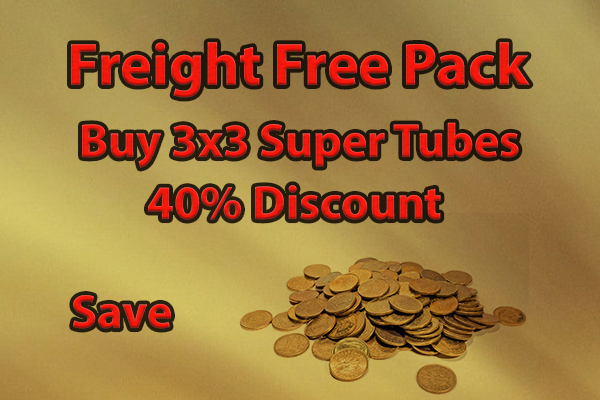 Please note adding additional plants to this pack will attract freight on those extra plants only. 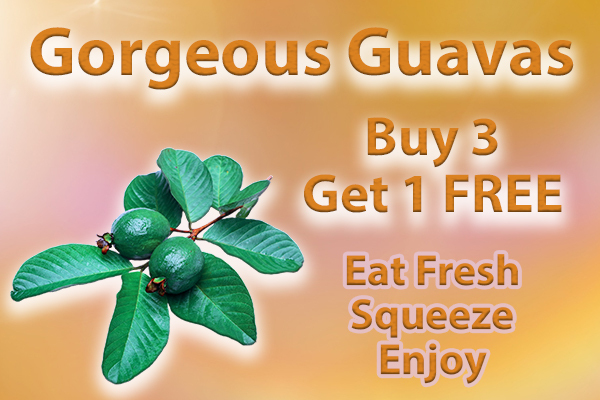 Guavas are beautiful ornamental trees with attractive patterned bark and they produce delicious fruit. 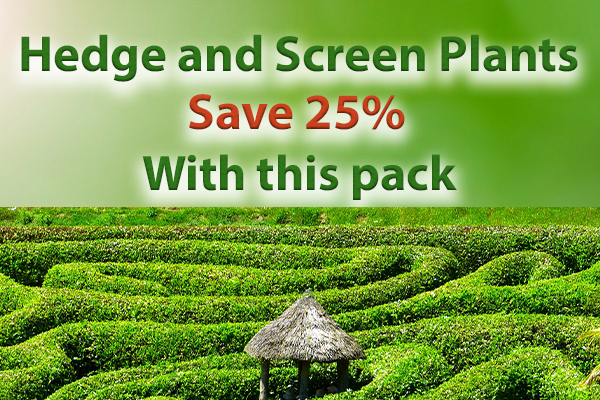 They are ideal for hedging and screening and they are great trees for backyards as they are nice and compact. 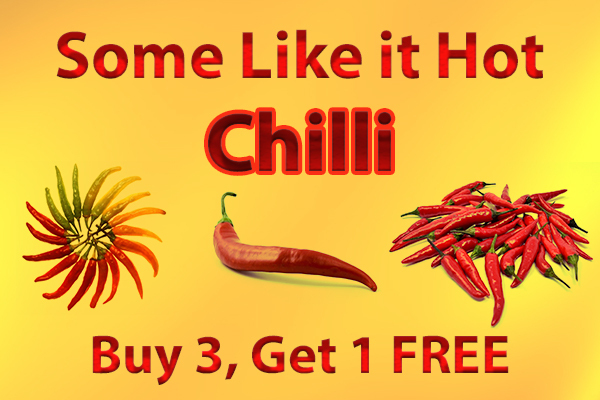 Buy 3 and get 1 FREE with this great offer. 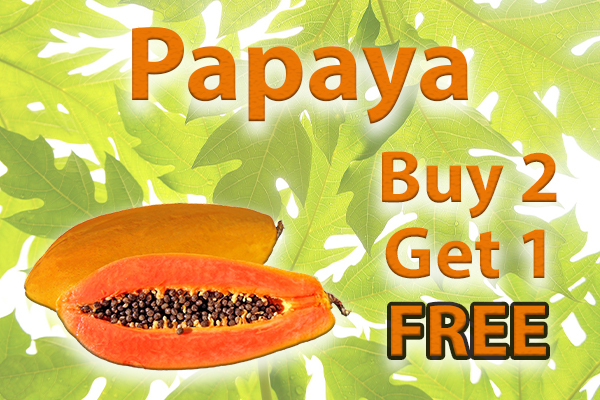 Grow a couple of varieties of pitayas with this pack. 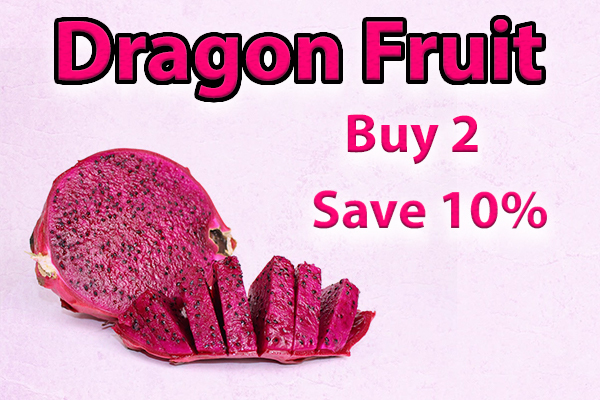 Also known as dragon fruit, pitayas are a beautiful looking fruit that are versatile in the kitchen. They have a delicate flavour and are very juicy when eaten fresh. They do require a sturdy trellis to grow on. These low chill apples are grafted onto MM102, a semi dwarfing rootstock that will keep these trees compact in size. If you are in the subtropics choose two from the Anna, Dorset, and Tropic Sweet. People in temperate should select from the Granny Smith, Pink Lady, Red Fuji, Red Delicious and Gala. 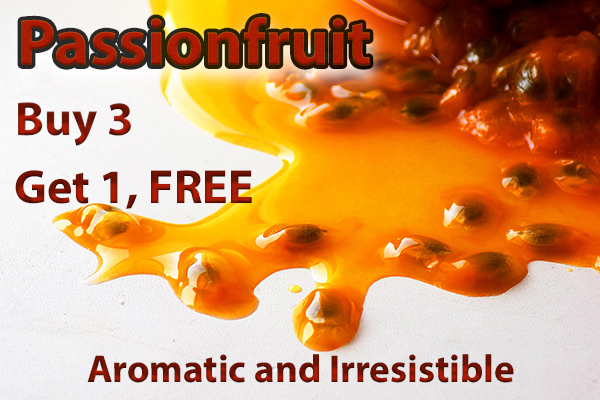 Make sure you select two different varieties for cross pollination. 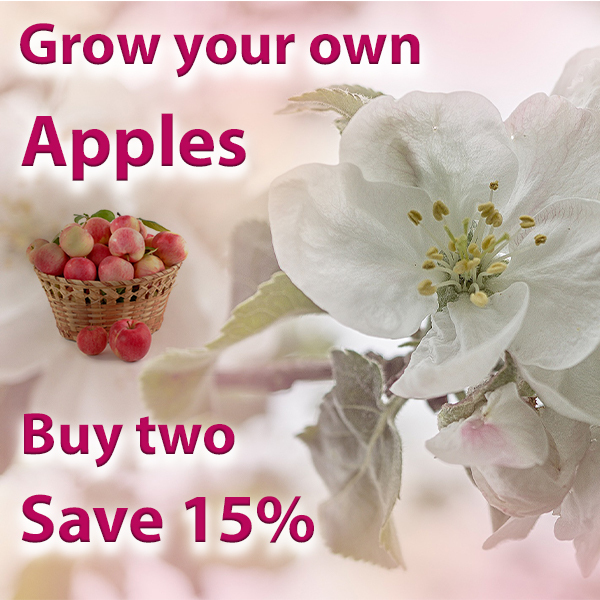 Use the drop down menu to select the varieties you want for your home orchard, make sure you choose at least two different varieties for cross pollination. All these selections are grafted onto trifoliata, a semi dwarfing rootstock that will keep your tree to a nice compact size. 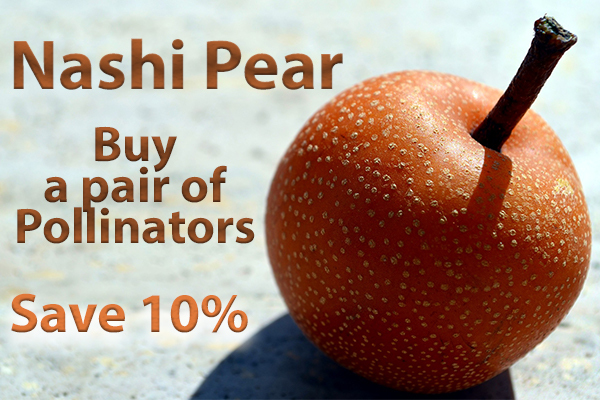 Nashi pears require cross pollination for good fruit set, use this pack to select two different varieties from the drop down menu and save 10%. 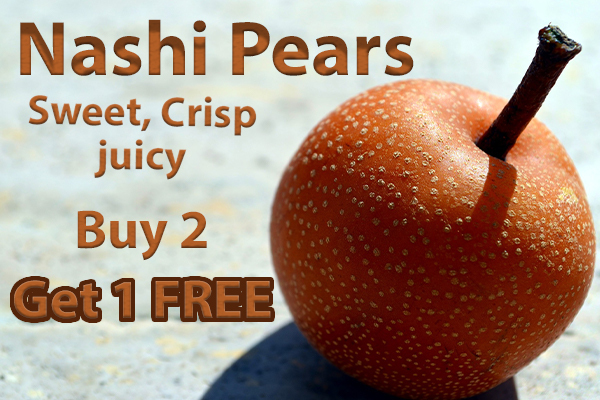 Nashis are famous for their delicious mouth watering crisp juicy flesh. This pack is perfect for school students. 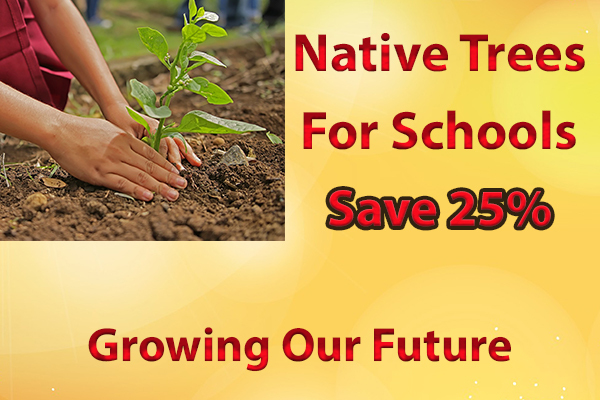 The pack contains 36 native trees so each student may take a tree home to plant them in their home garden. The pack can be a mixture of different species or can be made up of all the same. The trees in these packs are in forestry tubes and sold in groups of two or four. 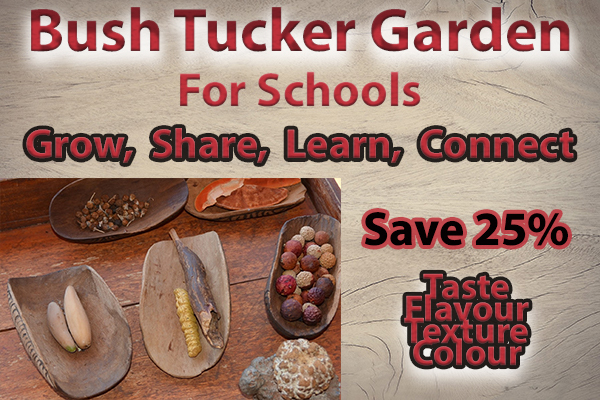 Our bush food pack will allow students to grow their own bush food garden. As the plants mature student will be able to harvest and experience our native Australian bush foods freshly picked from the school yard. The trees in this pack are in 90mm mega tube pots. 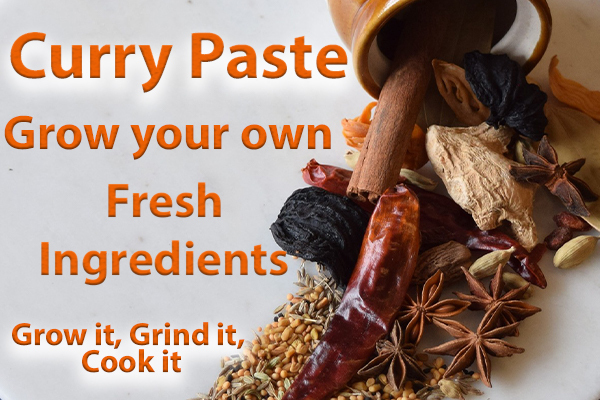 Making your own curry paste is not as difficult as you would imagine and this pack will help you get started by having all the fresh ingredients that you need growing in your own backyard. 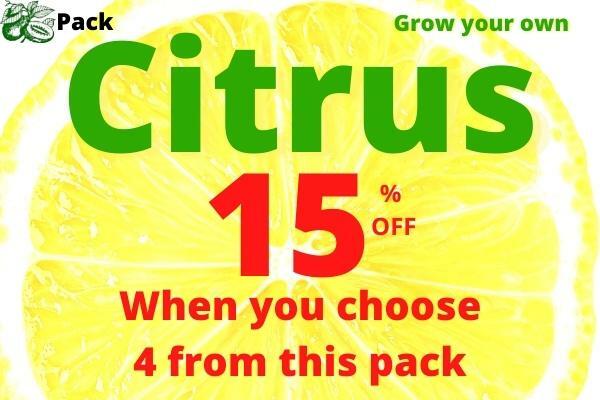 Fill any spare spaces in your backyard and orchard with sensational citrus with this pack. Perfect as potted fruit trees as well as for planting in your garden citrus trees are highly productive and produce fabulous fruits for eating fresh, juicing and preserves. 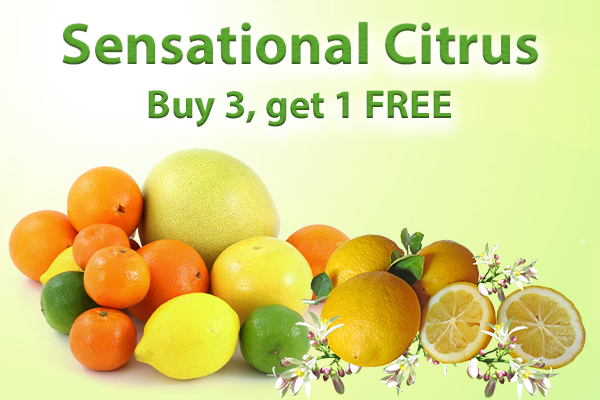 Remember you can mix and match citrus varieties. One of each or perhaps you just want to buy 3 of the same plant and get one free. Just make these adjustments below, by clicking on each drop down box. 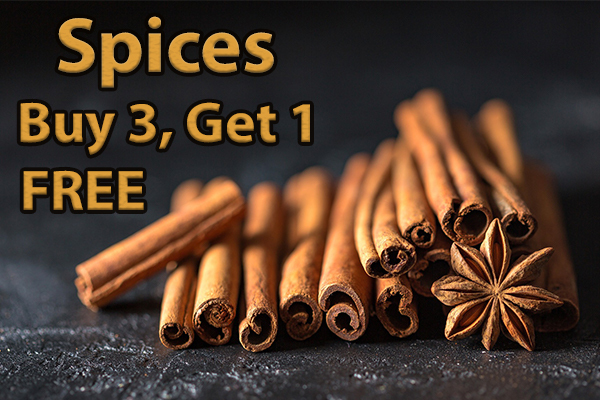 Spice up your life with this wonderful spice pack. Most are perfect for pots so even if you only have a small corner in your garden you will be able to fill it with some of these wonderful flavours. 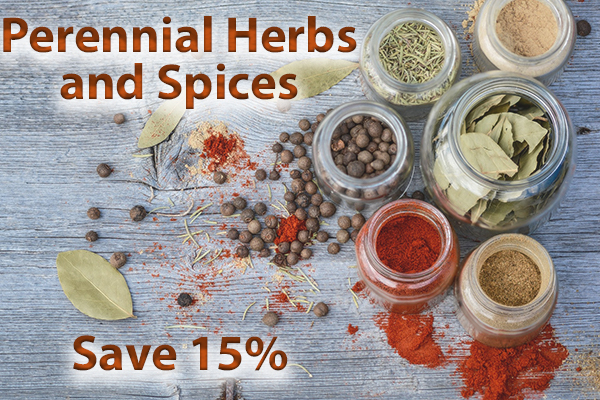 This pack sometimes features Stevia the Sugar Herb, Drumstick or Horseradish Tree, Vanilla Beans, Curry Tree, Cardmon Ginger, turmeric and Galangal depending on what we have ready. Remember you can mix and match spice plants. One of each or perhaps you just want to buy 3 of the same plant and get one free. Just make these adjustments below. Customers have reported success in the colder climates lower than Sydney which is exciting. Although as a general rule papaya do like a bit of warmer weather. 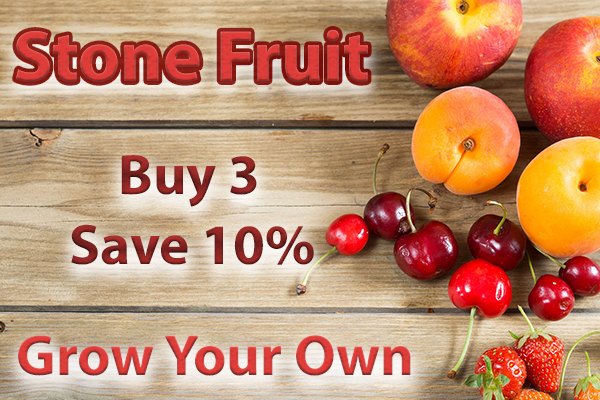 Select bisexual varieties to ensure you get fruit without the need of having separate male and female trees in your backyard. Customers have been loving the sweet juicy red flesh of the Southern Red for years at Daleys and we often get the comment "So much better then what you buy in the shops"
Coffee Plants are becoming more popular in Australia as we appreciate them for their luscious green leaves, beautiful fragrant white flowers and their eye catching red beans that can be picked, processed and roasted to make your own coffee. Or you can just chew on the beans straight off the tree. 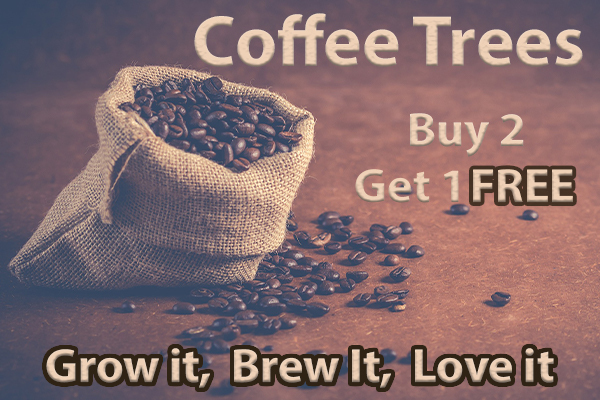 Recently studies into the leaves of coffee trees show them lowering the risk of heart disease and diabetes when used just like tea. Cross pollination of plums makes for a great harvest. 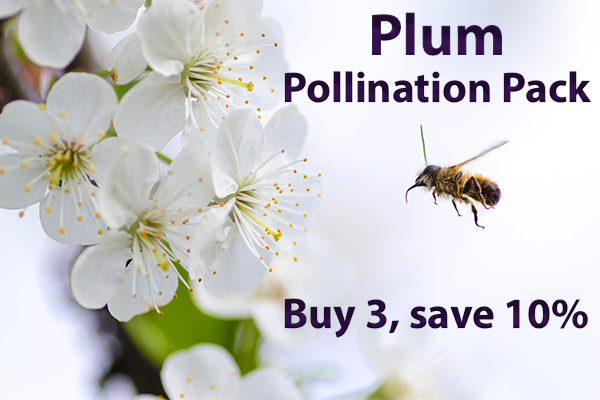 Make sure you grow all 3 of these plums from the pack within 50m to maximize the pollination and get the best fruit set. By purchasing them from this pack you will also be saving 10% of the price in comparison to purchasing them individually. When it comes to Nashis you will get better crops when they are grown together due to cross pollination. 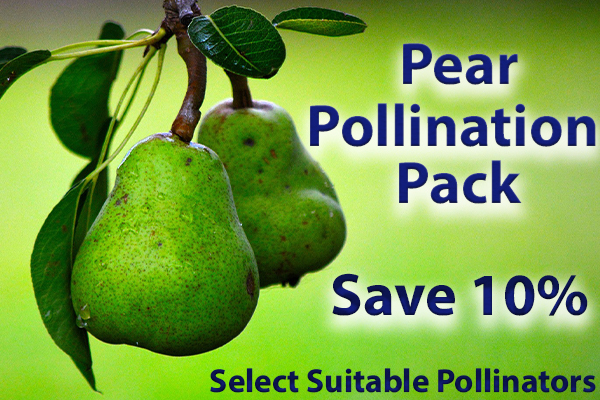 Use this pack to achieve pollination and also get 1 of them Free. 1. Why do I benefit from more then 1 Blueberry Plant? Having 4 blueberries in your orchard allows you to get great cross pollination which increases your blueberry harvest. Another benefit is extending your harvest period. One variety might fruit early in the season another later. Also you might want to give one away to your friends. 2. Can I choose which Blueberry Varieties? Yes, Just use the drop down menu to select the blueberry varieties that you like. You can choose different varieties or all the same variety by using the drop down menu. 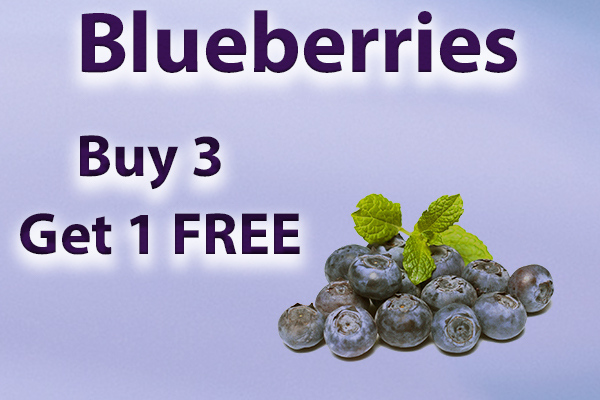 We recommend choosing different varieties because you get more blueberries that way. 3. I want to add a Blueberry Variety not in the drop-down menu. Where is it? Only blueberries that are in stock appear in the drop down menu. You can go to the blueberry plant page and then click Email me when Available to get notified when that variety is in stock. It is however unlikely that it will come into stock before the end of May which is the duration of this offer. 4. Can I order more then 4 Blueberry Plants and get the discount? Yes. But you need to order them in lots of 4 below. Click Add to Cart when you make your choice. 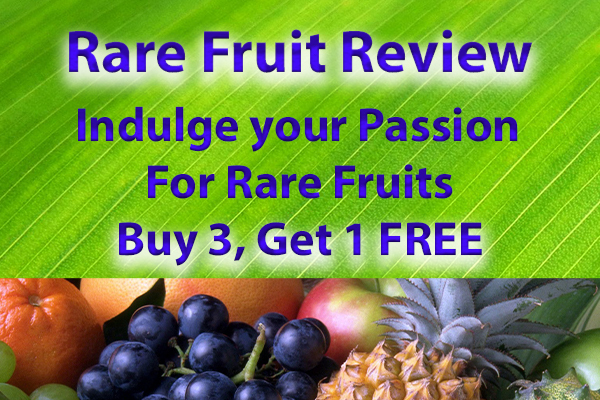 Then come back to this page make another selection of four and click add to cart again. 5. How can I find out more about each type of Blueberry Plant? You can visit our Blueberry Plant page to research all the benefits of each variety. 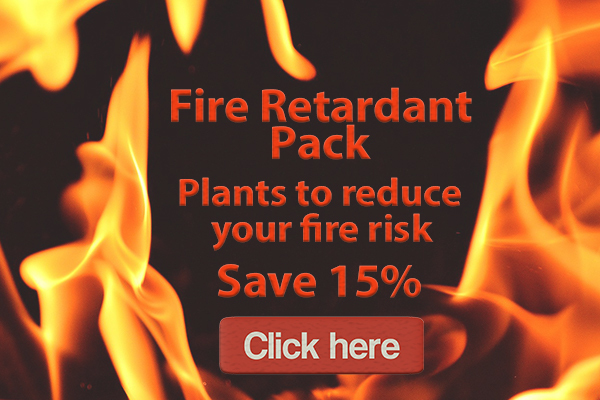 However simply by clicking add to cart for the pack below is already a great selection. 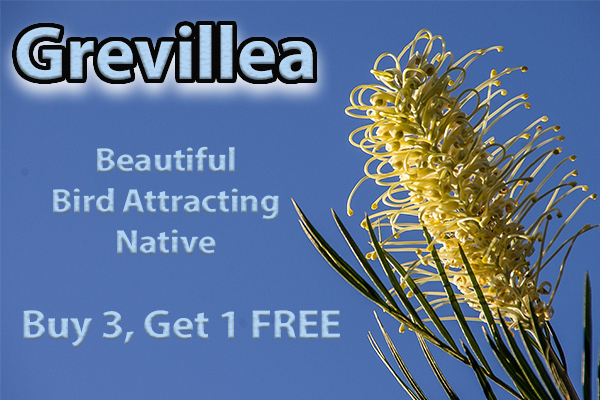 Our native bush foods make both an interesting and edible addition to the backyard. 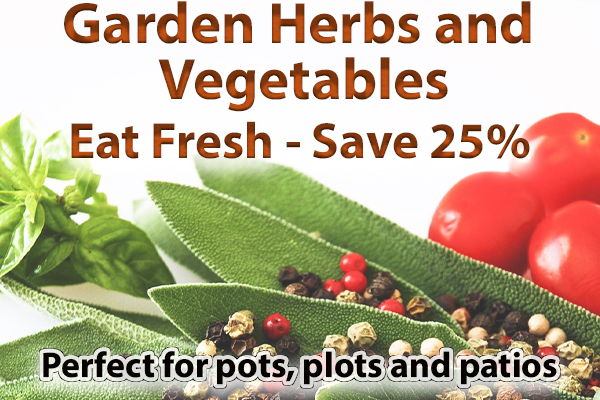 Grow your own herbs and veggies, perfect for pots or kitchen gardens. 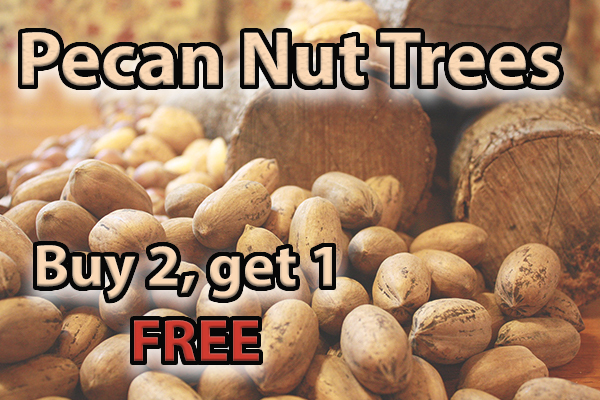 This pack is a mix of pecans that when grown close together will give you the best chance of maximising your harvest. This is done by cross pollinating both the A type and B type varieties.